Who doesn’t love a good pizza? And maybe for you, pizza is one of your most tempting pregnancy cravings. While greasy pizza might not be the best option in terms of nutrition, you can have pizza without all the grease. 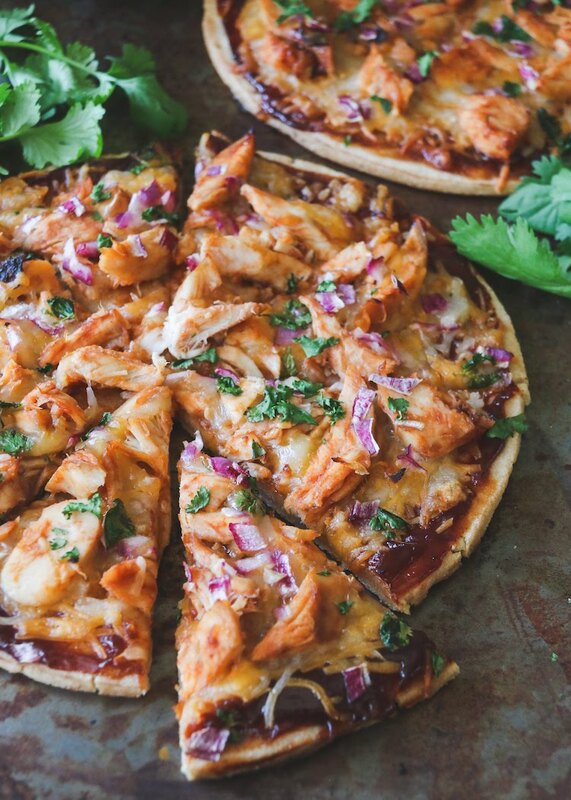 Next time that pizza craving hits, try this barbeque chicken pizza. Directions: For pizza crust, dissolve yeast and honey in a medium bowl, and let stand for 10 minutes. Stir in flour, salt, and oil, and mix until well incorporated. Let rest for 5 minutes. Turn dough out onto a lightly floured surface, and roll into a round. Transfer to a pizza pan lightly dusted with cornmeal. For pizza, marinade chicken in 1 cup of BBQ sauce for 2-4 hours. Preheat oven to 325F. Pour into a small baking dish, and bake for 30 minutes. Let chicken cool, then slice into ¼ inch strips. Sprinkle ½ cup of each cheese over pizza dough. Spoon ½ cup BBQ sauce over cheese. Top with chicken and onion. Sprinkle with remaining cheeses. Increase oven temperature to 450F, and bake pizza for 10-12 minutes. Sprinkle with fresh cilantro when finished. Cut into 8 slices. Chicken is one of the most widely used proteins. It is very lean with little fat but a lot of protein. In just a 4oz portion, there is 26gm of protein and only about 1.5gm of fat. Protein needs increase by about 25gm/d during pregnancy so it’s important to include a rich source of protein at every meal. Chicken is also a great source of niacin, vitamin B6, and selenium. You can use either rotisserie, canned or grilled chicken breast for this pizza. When you meal prep at the beginning of the week, you can grill extra chicken breasts and slice them into strips for quick meals such as this one. The red onion on the pizza adds a great flavor and zing. Onions are full of vitamin C, flavonoids, and other phytochemicals that are anticancer, anti-inflammatory, and supportive of heart health. Red onions, in particular, are one of the most nutritious onions. The more pungent the onion, the more health benefits it has. You can store onions for a couple of weeks on the refrigerator shelf. However, the crisper drawer is too humid. To store onions longer, you can put them in an open paper or net bag in a dark, cool place. You will use olive oil to make the pizza crust. Most people have heard that olive oil (in moderation) is good for you, but do you know why? Olive oil is full of monounsaturated fatty acids (MUFAs). MUFAs are known to lower total cholesterol and LDL cholesterol to improve heart health. There is also research that MUFAs can help regulate blood glucose and insulin levels. This is particularly important for those with type 2 or pre-diabetes. Extra virgin olive oil is the oil from the first pressing and therefore is the least processed and has the most health benefits. Store it in a cool and dark place to keep it from going rancid.